"Enkidu powerfully transcends the dilemma and the self-involvement typical of most one-man-shows." Can art really save the world? 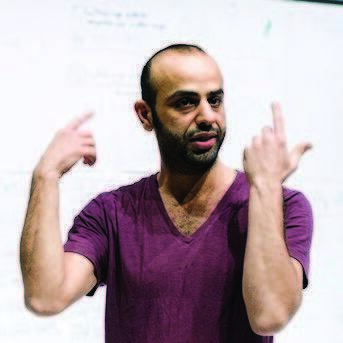 For Belgian-Iraqi theatre-maker and performer Enkidu Khaled, living through the Iraq war, this became an urgent question. His award-winning show is a unique form of creative interaction. He invites his audience to join him in analysing and simplifying the complex process of making theatre through artistic expression and reflection. In a four-step plan, Khaled works with his audience to create a new performance every night, showing how memory, association and tiny fragments of ideas can become a story.